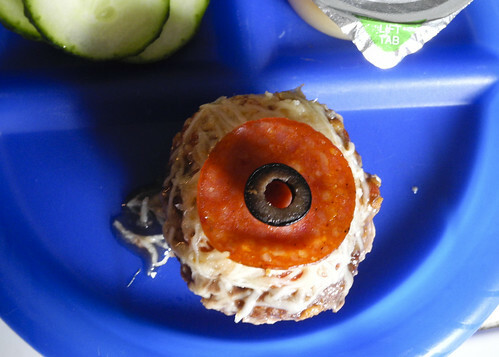 Are you looking for a quick and easy meal for Halloween night? Between trying to get the kids in their costumes and keep them from running out the door at 4 o’clock the last thing I want to deal with is having to figure out a healthy dinner for them and cleaning up after dinner! 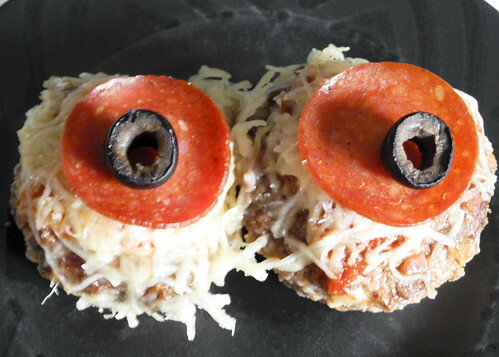 These meat loaves are not only creepy fun but a healthy protein packed dinner. With all the sweets my boys will enjoy Halloween evening, getting protein in them is my number one goal. We usually only get a couple sweets on Halloween night, but still I want to make it a healthy evening as much as I can. 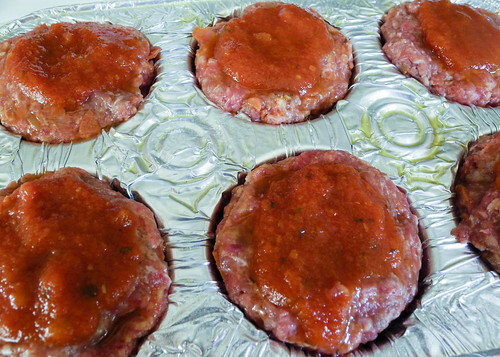 Mix ground hamburger, egg, panko, 1 ounce pepperoni and 1/2 the spaghetti sauce. 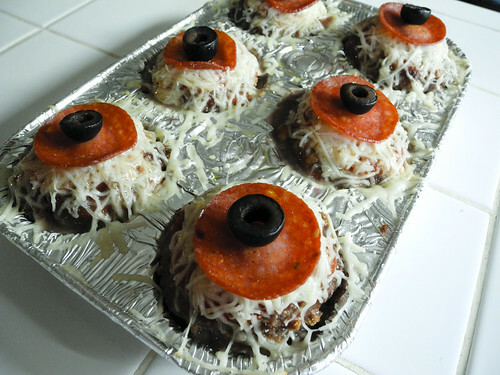 Top with cheese, 1 pepperoni each meatloaf, and one sliced olive. Put back in oven for an additional 5 minutes to melt cheese. THESE ARE AWESOME!!! How cute. I can’t wait to make these for Halloween!! Now that is cool!! I’m bookmarking this one and going to try it in the next two weeks. These look awesome! For sure going on my “to try” list. So cute! Saving this one for our every-other-year Halloween party next year! Thanks!